With 35 teams, they paid 5 spots and Team Andrew Liever #2 took the win. The Bakersfield team – Team Zackary Long (Zack Long, Charles Gabriel & Robert Fox) came in second place. One 300 game was shot by Ken Green, Sr. from Lompoc. CVM would like to thank everyone who traveled to support them and thank the CVM crew who always work hard at running these tournaments and they will definitely be back to Rancho Bowl! For further information on what’s on the horizon, go to www.centralvalleymasters.com. The newly-formed Golden Empire USBC Tournament Committee has been busy working to put together some fun local tournaments for bowlers, so if you haven’t already looked on their Facebook page “Golden Empire USBC” look it up and like it so you can stay up with all that is going on or coming up so you can be prepared! The first tournament coming up is the Bakersfield Scratch Open which will take place on Sat., August 11 at AMF Southwest Lanes. There are two qualifying squads—one at 9:30am and the other at 2pm. $1,000 is guaranteed for first place (based on 50 entries). Cost to enter is $80 for 6 games of qualifying. For further information on this event, go to the Golden Empire USBC Facebook. Another established bowling center located in Fremont is in trouble of being torn down for redevelopment for housing units. The Cloverleaf Family Bowl, which has been in existence now for 55 years could be demolished. David & Marian Hillman opened Cloverleaf Bowl on March 23, 1963, and the center has stayed in the family and is now ran by Mike Hillman. At the 2018 California Bowling Writers Annual Meeting it was decided that the organization would change from Phone Cards to the Troops to Operation: Freedom Paws which is an organization founded by Mary Cortani, a CA bowler and Veteran, that matches dogs with Veterans who have PTSD and other physical, neurological, psychological or mobility needs. 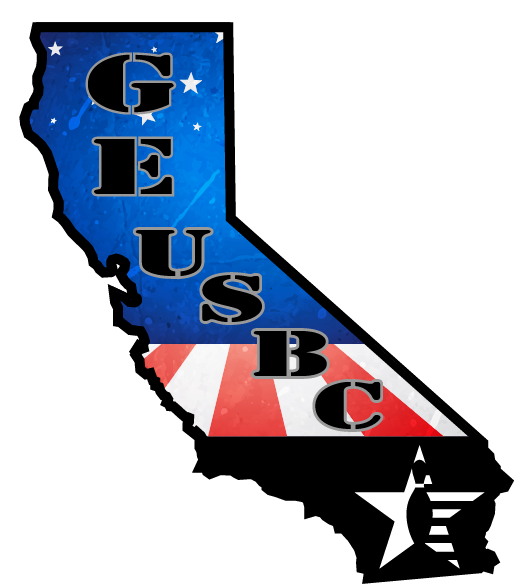 The 2018 drive was kicked off at the CUSBC State Convention that was held in Fresno, CA, the weekend of June 9-10. More info will be on the CBW website, www.calbowlingwriters.org or if you would like to donate to this year’s campaign, mail your checks (payable to CBW) to CBW Treasurer Tina Martin, 57 Shields Lane, Novato, CA 94947-3877. Any amount is appreciated. – Congratulations to Carlie Medina III on yet another 300 game bowled back-to-back league weeks again on Thurs., June 14, bowling in Robb’s Ball league at AMF Southwest Lanes. – Congratulations to Michelle Dunn on her 600 series bowled on Thurs., June 21 bowling in Robb’s Ball league at AMF Southwest Lanes. She had games of 156-240-214 for a 610 series. – Congratulations to Roger Tilford, for capturing the gold again this year bowling in the 2018 Firefighter Olympics held in San Diego this week! Now-June 30: USBC Women’s Championships, National Bowling Stadium, Reno, bowl.com. Handicap Doubles: 1. RJ Richardson & Pudge “Killa” Miller (1787); 2. Eric Wisdom & Lorene Elijah (1542). Handicap Singles: 1. RJ Richardson (831); 2. Pudge “Killa” Miller (856); 3. Eric Wisdom (803). 3-6-9 pot was not hit and is currently at $330. Alex again would like to recognize and thank, Norris Richards, for always helping out! *Coffee Club is on Sunday mornings starting at 11am at AMF Westchester Lanes. Cost to enter is $20 for 4 games, blind doubles draw. Optional high pots, singles, and 3-6-9. Handicapped and fun bowling with some great local bowlers!